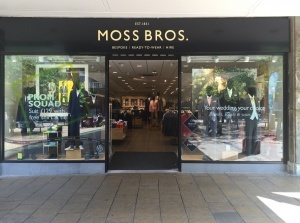 Moss Bros is an editor for men, providing a versatile range of menswear. By drawing upon our 165 years of tailoring experience, we give in-depth knowledge and suiting expertise – adapting the latest trends whilst staying true to our heritage. As a brand we inspire and guide, helping men feel amazing whatever the occasion.